The House Agriculture Committee will consider the legislation at 2:00 PM Today. ~Over 130 human rights, religious, humanitarian and trade groups from around the nation have pledged their support for HR 4645. The sheer diversity of support this bill has garnered is a testament to its importance. ~Trade organizations, like the Chamber of Commerce, American Farm Bureau Federation, and the National Foreign Trade Council. The U.S. Chamber of Commerce pledged its support for the bill in a letter to House members because of the bill's ability to "bring change to Cuba and commercial benefits to the United States." The letter cited a March 2010 Texas A & M University study that showed that the bill could possibly result in "up to $365 million in additional sales of U.S. goods with a total economic impact of $1.1 billion and create 6,000 new jobs in the United States." The National Foreign Trade Council advocates for the removal of "self-imposed and counterproductive barriers to American citizens, farmers and businesses to humanitarian trade with and travel to Cuba." It considers the bill an opportunity to begin fixing America's relationship with Cuba. ~74 Well-known Cuban dissidents. They believe that the "isolation of the people of Cuba benefits the most inflexible interests of its government." 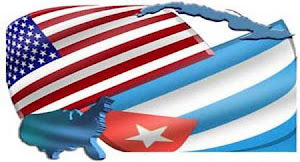 In a letter sent to Congress, they acknowledged Cuba's shady human rights record and ongoing repression, but stated that trade and travel interactions with the US would serve to strengthen Cuban civil society. They also pointed to the importance of agricultural trade in helping alleviate food shortages in Cuba. They criticized the United States' policies that restrict citizen's rights to travel as a violation of human rights. ~Major human rights organizations, like Amnesty International and Human Rights Watch. They not only believe that the right to travel is a human right, and that by keeping current policies in place the US is violating citizens' rights, but that current policies are doing nothing to help improve the human rights situation on the island. Human Rights Watch called the bill a "necessary first step in replacing an ineffective, unilateral policy towards Cuba with a more targeted, multilateral approach." ~ A variety of religious organizations, like the US Conference of Catholic Bishops, the Alliance of Baptists, the Evangelical Lutheran Church in America, the National Council of Churches, the Presbyterian Church, and the United Methodist Church. Religious leadership agrees that a more open relationship between the two nations is mutually beneficial. The Conference of Catholic Bishops want to encourage democracy and human rights improvements in Cuba through "more, rather than less, contact between the Cuban and American people." ~Twelve retired senior officers of the U.S. armed forces. They deny that Cuba is a security threat and asserts that the current policies have "failed miserably" and serve to strengthen the Cuban government. In a letter to President Obama, they stated that engaging our Cuban neighbors is the US's best chance to influence "the eventual course of Cuban affairs"
~Most importantly, a majority of Americans. 67% want the right to travel to Cuba and 72% think it would have a positive impact on the island. Furthermore, 67% of Cuban and Cuban-Americans support allowing all Americans to travel to Cuba.